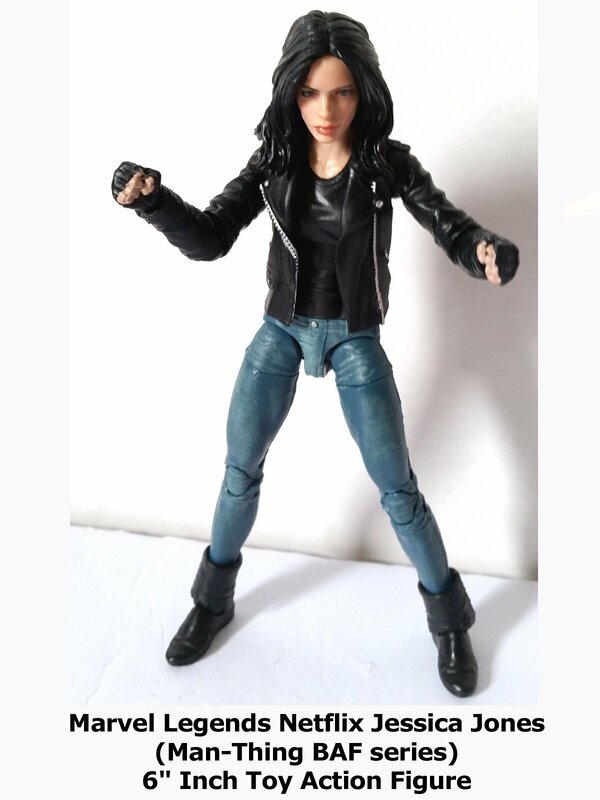 This is a Marvel Legends Jessica Jones 6" inch toy action figure review. (Part of the Man-Thing build a figure BAF series.) This is Jessica Jones based on the television show. It is well made with an amazing likeness to the actress. Well sculpted and articulated. A fine addition to those building an action figure collection.